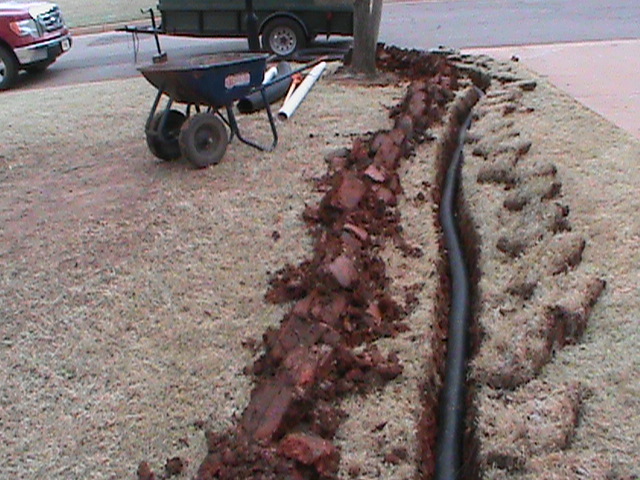 French Drain Installation is a central focus for CMG Sprinklers and Drains. Depending on the Drainage Problem, we install: Surface Drains, French Drains, Channel Drains,and even Sump Pumps. If you have water standing on your sidewalk after a hard rain, the installation of a Surface Drain should help. If you have water seeping under your foundation, a French Drain should solve the problem. If your backyard turns into a moat after a thunderstorm, your gutters may need to be directly connected into your drainage system. Drainage problems can be unique and difficult to deal with. Diagnosing the drainage problem correctly is essential. If you need help, give CMG a call. I’ve got liked this article. Your author has piqued my acknowledgement and supplied me finding a terrific total offer to think about all via the assortment views which may very well be previously presented.